Gregory Poole Power Systems has five conveniently located full service facilities in eastern North Carolina. We are environmentally compliant and conduct quarterly safety audits at each location. All parts and labor are covered for defects in material or workmanship for 6 months, regardless of the service hours. Our factory-trained and experienced Compressed Air Technicians specialize in troubleshooting, diagnosing and repairing complete air systems and air dryers. We service all types of air compressors, including rotary screw, reciprocal and centrifugal units. Our Service Team is trained in diagnosing compressed air quality issues. We maintain refrigerated and desiccant air dryers. Our Senior Technicians hold NC HVAC and Refrigeration Licenses. 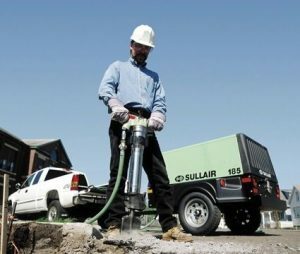 Dependable compressed air is essential to any facility. Programmed and Preventive Maintenance Services ensure your equipment is up and running and producing air when you need it. We provide a wide variety of customer support agreements to meet your needs and expectations. Preventive Maintenance is a guaranteed way to reduce unexpected downtime and costly repairs. Scheduling services will reduce failures and reduce the life-cycle cost on the equipment. We offer Customer Support Agreements on all makes and models of stationary and portable industrial engine and compressed air systems in addition to our OEM product lines.